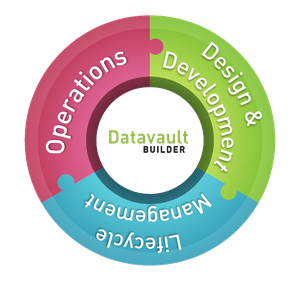 Datavault Builder - Data Warehousing. Simply Visual. 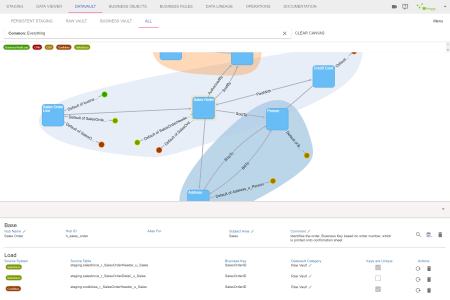 Next Generation Software for Visual Data Integration. Quickly develop your own DWH. Immediately lay the foundation for new reports or integrate emerging sources of data in an agile way and rapidly deliver results. Using a proven industry standard process you can start your agile Data Warehouse immediately and deliver business value in the first sprint. True WYSIWYG. The modelled Logical Design is compiled in real time into a working technical implementation. Actually see and work with the current representation of your DWH. Merger&Acquisitions, affiliated companies, sales performance, supply chain management. In all these cases and many more some sort of data integration is essential. The Datavault Builder perfectly supports these different settings. Delivering not just a tool, but rather a standardized workflow. 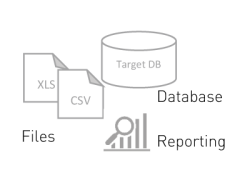 Permanently move data to new target(s) while ensuring data availability and quality. Integrate any sources to gain the complete picture of your company. 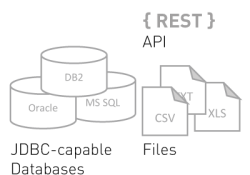 Retrieve and feed data from and to multiple systems in real-time. Scalable designed to fit any size of business. Read in this german BI Spektrum article how SwissRe reinsurance automated their data warehouse processes using the Datavault Builder backend. We will be sponsoring different events, so come by, meet us and see the Datavault Builder in action.